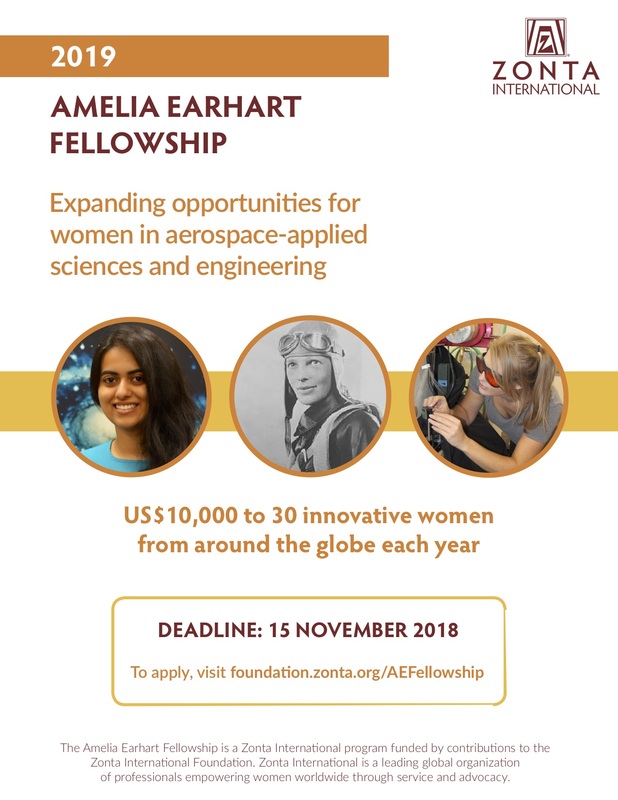 To assist the future of women in aerospace and other aerospace-related sciences and engineering, Zonta International established the Amelia Earhart Fellowship in 1938 in honour of legendary pilot and Zontian, Amelia Earhart. Today, the Fellowship of US$10,000 is awarded annually to up to 30 talented women, pursuing Ph.D./doctoral degrees in aerospace-related sciences or aerospace-related engineering around the globe. 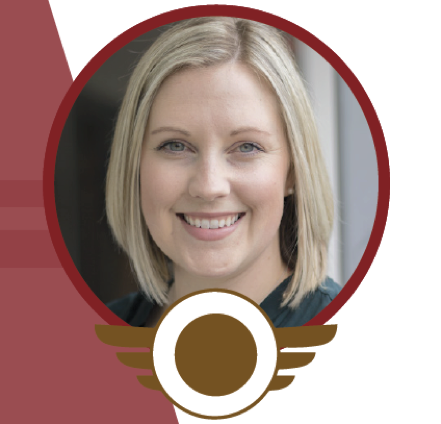 Zonta International, through its foundation, is awarding Amelia Earhart Fellowships to outstanding women pursuing graduate degrees in aerospace-related sciences and engineering for the upcoming academic year. Chosen from applicants worldwide, this prestigious award is given to the women graduate students exhibiting the most promise in advancing the field of aerospace and engineering. Past recipients are from Australia, Canada, France, Germany, Iceland, Italy, Lebanon, P.R. China, South Korea, Spain, Netherlands, Turkey, United Kingdom, and the USA. Zonta International is proud to honor these women as part of the legacy of Amelia Earhart, a famous air pioneer in the 1920s and 1930s and a member of Zonta International. By her example, Amelia Earhart encouraged women to expand their horizons by exploring occupations and holding positions beyond those traditionally held by women. By supporting the Amelia Earhart Fellowships, Zonta International encourages women to enter the aerospace-related fields and keep the Earhart legacy alive. Information on The Fellowship, who is eligible, what are the requirements and how to apply. Information required and organizing yourself for the online application. View the history the Fellowship Award, who has won, and Zonta’s desire to support the increasing number of women in aerospace-applied sciences and aerospace-applied engineering.